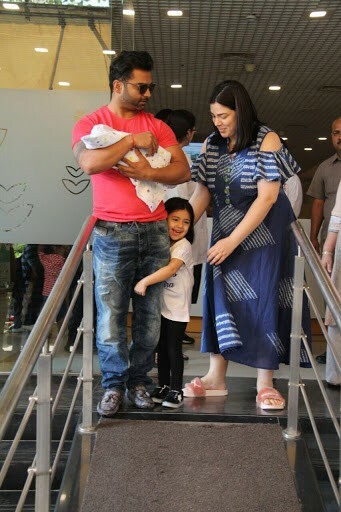 Urvashi and Sachiin were spotted coming out of the hospital with their baby boy. 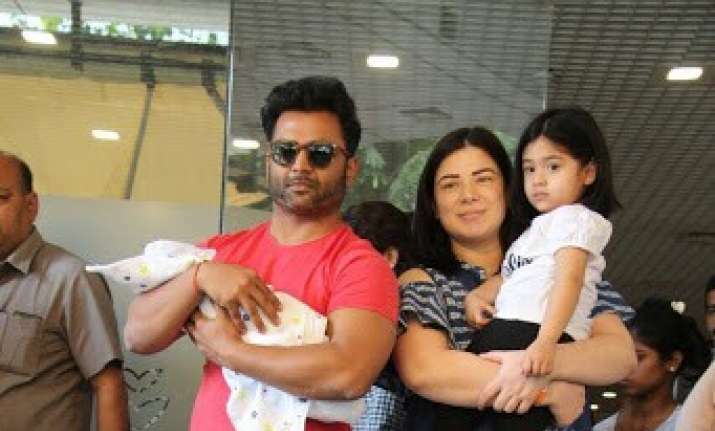 Urvashi Sharma, known for her role in the film Naqaab also starring Bobby Deol and Akshaye Khanna, has become a proud mummy for the second time. The actress and husband Sachiin Joshi have been blessed with a baby boy on November 26, 2017. The proud parents were spotted today as they were leaving the hospital. Urvashi was all smiles and the happiness of welcoming their baby into this world was visible on the couple’s faces. Urvashi and Sachiin were spotted with their four-year-old daughter Samaira. The happy trio were all smiles as they took their bundle of joy home. Sachiin also revealed the name of the newest member of his family. They have named him Shivansh. "By the grace of God, my wife and our son are healthy. Our family is now complete. We thank our families and friends for their support and blessings. This year has been a landmark both personally and professionally. He looks exactly like his father and has my complexion. I think that's the best combination," Sachiin was quoted as saying to a leading daily. Urvashi now goes by the name of Raina Joshi and she recently had an amazing baby shower. She had shared some pictures from her dreamy baby shower on her Instagram account as well. In one of the pics, she was seen wearing a beautiful silver gown, with floral embellishments. Her daughter was seen wearing a mini version of the gown and the mother-daughter duo looked like gorgeous princesses. Urvashi is a model-turned-actress who also starred in a few Hindi movies. She and Sachiin tied the knot in February 2012.